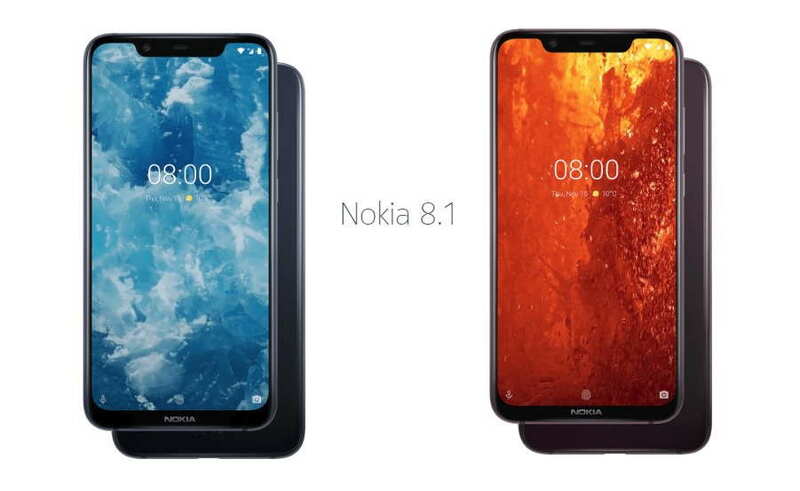 Nokia last week launched its new Nokia 8.1 smartphone in Dubai with the promise to launch the device in other regions soon, including India, UK, and Europe. However, the day has finally come to users in India. Nokia today finally launched its new Nokia 8.1 device in India. The key specs of the new Nokia 8.1 include Snapdragon 710 SoC, 6.18-inch Pure view HDR Display, 20-megapixel selfie camera, and beautifully designed side edges and back panel. The new Nokia 8.1 is a successor to the Nokia 7 Plus, which was launched in India earlier this year priced at around Rs. 25,000. However, the new Nokia 8.1 in Indian has bee priced a title higher than the price of the Nokia 7 Plus, the device is priced at Rs. Rs 26,999 for the 4GB RAM and 64GB storage variant. Unfortunately, HMD Global has only launched the single 4GB RAM variant in India. But we could expect 6GB RAM variant to arrive any time soon. The new Nokia 8.1 is already up for pre-order bookings in India starting Today. The device will go on sale starting December 21 exclusively on Amazon India and the Nokia India mobile website. The device is available in two color options, Blue/Silver and Iron/Steel. The Nokia 8.1 comes with 6.18-inch Pure view HDR Display. The good is that you get the new Nokia 8.1 running on the latest Android 9 Pie update, so you don’t have to worry to try out the latest Android version on your device. The device comes in only 4GB RAM variant with 64GB of storage. In the camera department, Nokia 8.1 features a dual 12MP/13MP depth-sensing camera with Zeiss optics. On the front, the device features a 20MP camera with a pixel size of 0.9 microns. Being part of the Android One family, you are promised to get timely Android OS update on your Nokia 8.1 device before everyone else, and that’s a great thing about that. For powering the device, the Nokia 8.1 packs a large 3,500mAh battery with Android 9 Pi’s adaptive battery feature and 18 W fast charging support. However, the device is set for a launch date in UK and Europe on January 14, which will make the Nokia 8.1 the first Nokia phone in Europe’s for 2019. In Europe, the Nokia 8.1 is expected to be priced at €399 and £379.99 in the UK.